09.19.07 Lots of fighting chess in this round. Three of the four games were decisive and all the winners had the white pieces: Anand over Svidler, Grischuk over Morozevich and Gelfand over Aronian, Leko and Kramnik drew. This puts the world's highest rated player and top seed Viswanathan Anand in the lead with 3.5 points. 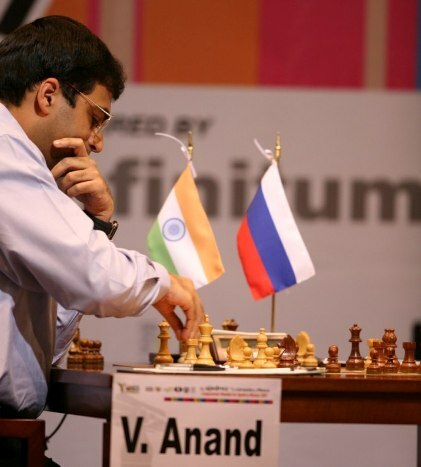 The leader with 3.5 points: Vishy Anand of India. 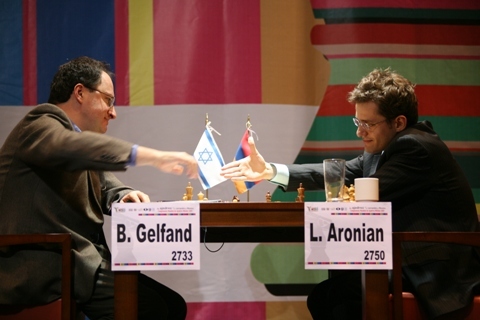 Boris Gelfand pulls off a victory vs. the Armenian upstart Levon Aronian. 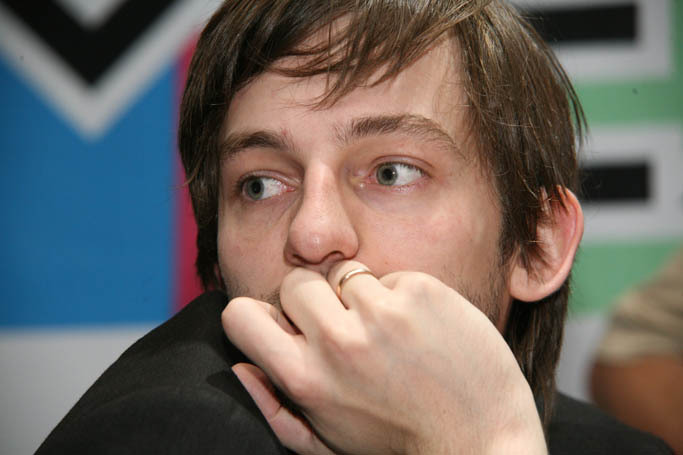 Alexander Grischuk handed Alexander Morozevich a loss in round five. 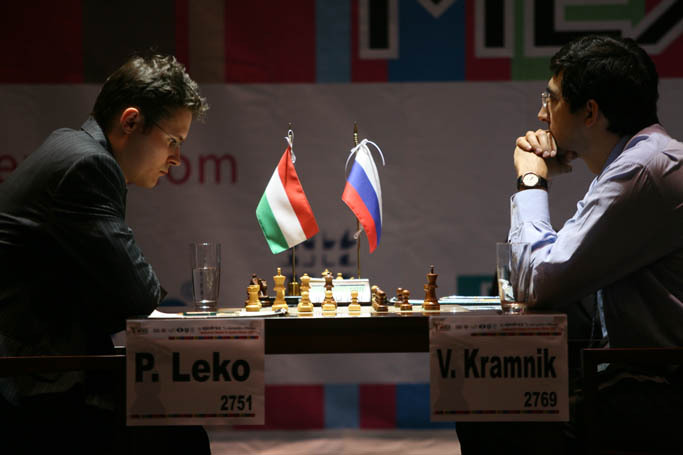 Peter Leko showing his characteristic grim determination in his round five game vs. the current world champion Vladimir Kramnik. This game ended in a draw.